Clth, 8.5 x 11 in. / 224 pgs / 150 color. Foreword by Lynn Gumpert. Text by Klaus Kertess, Susan Harris, Gregg Bordowitz, Frank Moore. 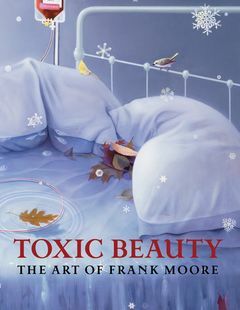 Toxic Beauty: The Art of Frank Moore is the most comprehensive presentation of work by a remarkable artist whose life was cut short by AIDS. Frank Moore (1953–2002) is best known for his large, highly detailed figurative paintings filled with fantastic and symbolic images. This catalogue includes a complete bibliography, chronology and excerpts from Moore’s own writings. It also features more than 50 color images of Moore’s paintings and works on paper, as well as approximately 40 reproductions of previously unpublished archival material--such as sketchbooks and documents--culled from the vast Frank Moore Papers housed at New York University’s Fales Library. 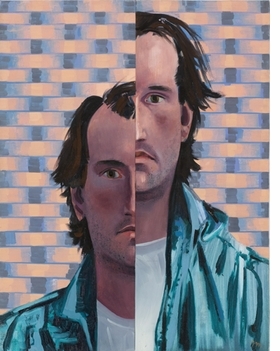 An essay by Klaus Kertess considers Moore’s recurrent themes, situating the artist within the vibrant downtown scene; a contribution by Gregg Bordowitz relates Moore’s works to his passionate AIDS activism; and a piece by Susan Harris addresses the artist’s working methods. Featured image, "Easter Basket" (1986) is reproduced from Toxic Beauty: The Art of Frank Moore. FORMAT: Clth, 8.5 x 11 in. / 224 pgs / 150 color. Published by Grey Art Gallery, New York University.